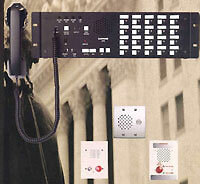 Established in 1948-Aiphone has become the most respected and reliable brand of communication systems in the world. Aiphone Co. Limited in Nagoya, Japan exports to over 60 countries. Aiphone Corporation is the Sales, Marketing and Distribution center for North America, and Aiphone Europe is their sales and Distribution center for the European market. Systems for every applications-Aiphone products range from simple do-it-yourself door answering units to sophisticated video entry security systems, complex microprocessor-based commercial systems, and luxury condo/apartment security/communication systems. They are unrivaled in design simplicity, technical excellence and reliability. With over 30 standard systems, and additional manufacturing by special order, we can create a system for virtually any intercom application. Designed to last-Every Aiphone system is the result of painstaking attention to detail: contemporary European style design, the finest quality hardware and circuitry, engineered, built and 100% pre-tested for sustained trouble free service. Winner of the Deming Prize-Aiphone is the first and only intercom manufacturer to win the Deming Prize, the highest international award for quality control. Named in the honor of Dr. W. Edwards Deming, the award honors firms worldwide which advance and maintain manufacturing quality. ISO-9001- Aiphone is the first intercom manufacturer worldwide to receive ISO 9001 certification, and the only one selling in North America. An agency representing the International Standards Organization (ISO), headquartered in Geneva, Switzerland, graded Aiphone against guidelines for design and development, production, and product inspection and testing. ISO 9001 standards provide an immediate recognition of product quality almost anywhere in the world. ISO 1400-ISO's Environmental Standards are a series of voluntary standards and guideline reference documents which include environmental management systems, eco-labeling, environmental auditing, life cycle assessment, environmental performance evaluation, and environmental aspects in products standards. In early 1998, our management team determined to acquire ISO- 14001 approval as a company-wide project, and working committee was established at the same time. Since then, with our ongoing efforts and practice about environmental management standards, we have succeeded to acquire the approval. Station is called by external device. Open voice communication. Press-to-talk at master, hands free at remote. LE sub stations: either door station or room sub station. Voice volume control. LEF&MYW-P3L. 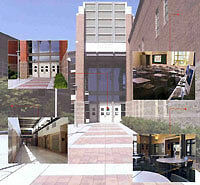 3 Pan/Tilt doors & 2 or more inside video monitors. Selective door release activation. Audio & video monitoring from any master/monitor station. Surface & semi-flush video monitors. All-master selective ring system. Single-master configuration or intermix w/TD-1H/B. Multi-conductor cable in loop. Multi-talk channels. Door station (s), audio or Pan Tilt video (max. 2). Zone paging, with or without talkback. Handset Loop-wired intercom. 90 station. This system do not requires a central exchange unit. Microprocessor built-into each. Capacity up to 90 stations. 3 communication paths. paging or multiple zone paging with optional talkback. Wiring distance up to 2900m max with 0.8mm (diameter) wire. This system configuration c/w 48, 88 and 128 stations. Add XC-092 cards (1 per stations) to expand system. Multiple talkpaths, expandable with XC-091 trunk card. RCX-48/B: 4 expandable to 12. RCX-88/B: 8 expandable to 16. RCX-128/B: 12 expandable to 20. Paging up to 4 zones with optional talkback. Voice actuated hands free or handset communication. All call through stations. Simple 2 twisted pair wiring. Stations up to 3 km max, away with o.8mm diameter wire. This system is specially designed for applications in such facilities as office buildings, factories, schools, hospitals, parking facilities and prisons. It integrates seamlessly with existing security and video surveillance systems to provide a significantly higher level of security for you. This system is for gas stations, drive through windows and gates entries. 1 and 3-call master stations single master system. 2.5W output power for higher noise areas. Hands free reply from remote station 8 Omh horn or speaker can be used as sub. Optional call button at sub. This system is a single or Dual Master station. High output power for large or noisy areas. 1,5 and 10-call masters available. Separate transmit and receive volume controls Variety of sibs or use 8 Omh horn or speaker. Business Accessories This section shows various accessories like relay, Auxiliary light power control ceiling sub stations etc. Accessories This section shows the call extension IER-2, electric door strike EL-9S and door release relay RY-PA etc. Power Supply This section shows the various power supply and adapters used in the Aiphone range of intercom system.